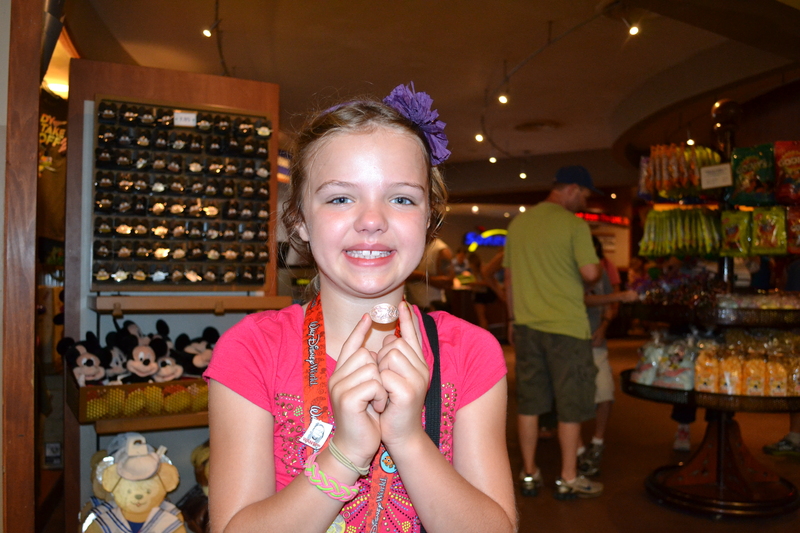 We’ve discovered one souvenir my daughter always looks forward to getting and it’s something she is able to afford with her own money on every single trip. 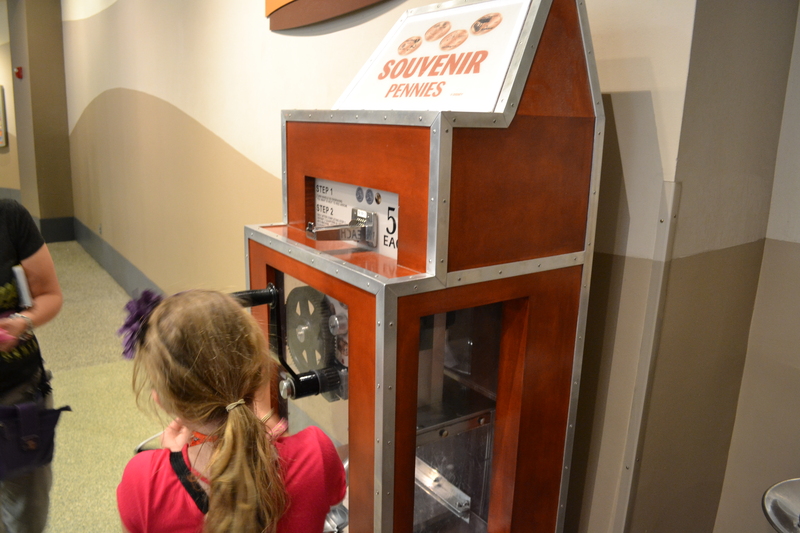 It’s the cheapest souvenir around: pressed pennies. These charming little keepsakes cost only fifty cents plus the penny used to create it. 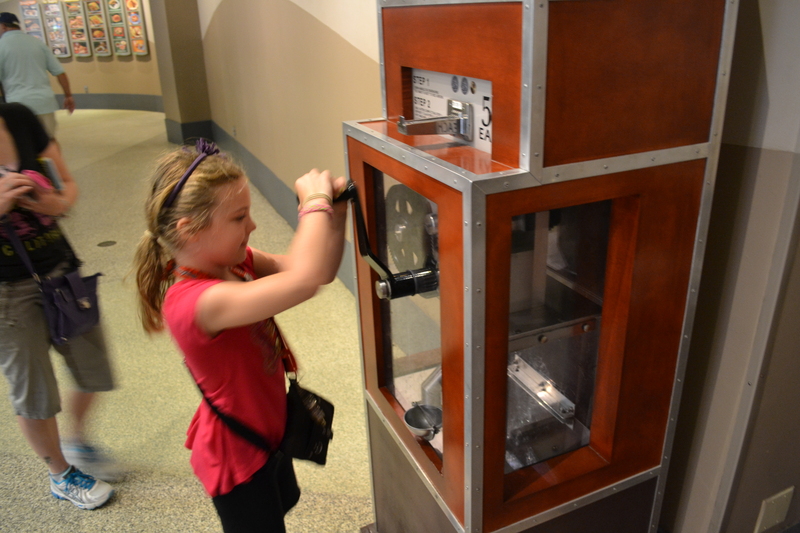 Leading up to our trip, she collected loose change in a jar to stock up for vacation. A few years back, we bought her a tri-fold book to display them which was a great purchase – otherwise, like all pennies, they would end up everywhere and would most certainly get lost before we even made it home. 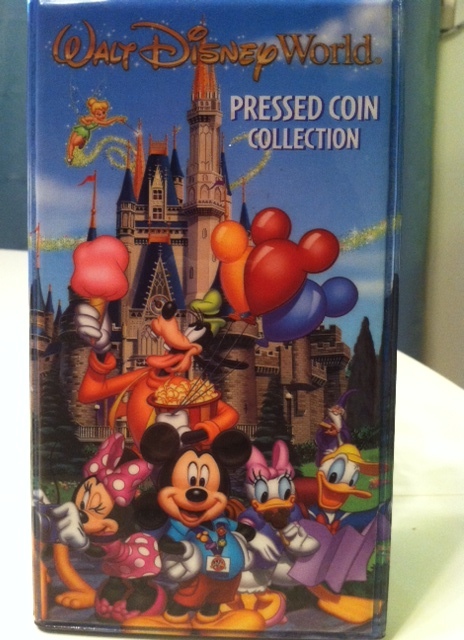 When I talk to people about Disney World, I always say that it’s worth every penny – – in this case a penny is a better reminder of our vacation memories than an empty bag of Goofy’s sour balls could ever be!! 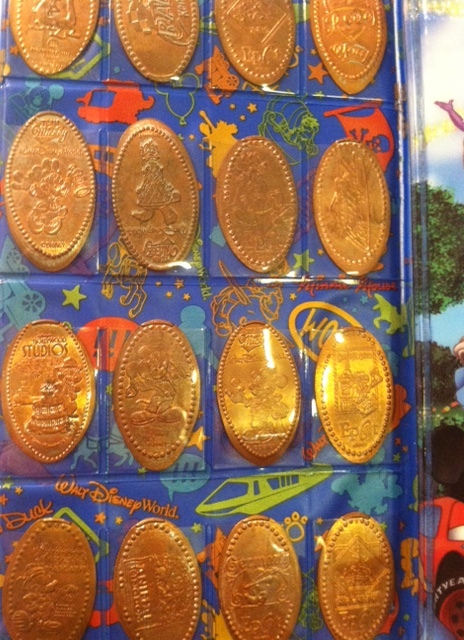 Where do you buy the penny display book?